Have you ever tried to play iPhone M4V video on non-Apple devices? Well! It is of no use, as M4V video is not supported by non-Apple devices and moreover they are DRM protected. Then, how can you play M4V files recorded by your iPhone on a non-Apple device? So you need to convert it to any other video format likely MP4, as it is supported by all non-Apple devices. Here, we explain you how to convert your iPhone M4V video to MP4 format in a simple way. But the thing is, you should be more careful while converting video file, because simple mistake may lead to Video file corruption. Note– Before proceeding with m4v video file conversion process, it is recommended to take a backup of video file. Most of the time VLC media player crashes during conversion process that can result in video corruption. To fix damaged video you need to use video repair tool. You can rename your M4V video to MP4. It is the easiest way to convert your M4V video file. 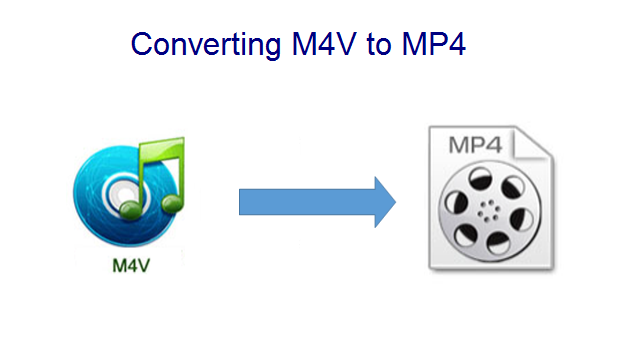 Before proceeding with the conversion process, check whether your M4V file is technically MP4 file or not. Else, converting will corrupt file structure of your M4V file and makes it unplayable. HandBrake is free and open source video converter which can be used to convert any digital video file. Just go to Source button and select the file which you want to convert. Next, Output settings where you have to set MP4 as your output format. Once you click on Start button, it initiates file conversion process. There are lots of methods which can be used to convert your M4V video to MP4 format. But as said above, you have to be more careful while converting. If any of these methods result in video corruption, which leads to unplayable videos file. If that happens, then you may have to get a third party video repairing software and fix it. Remo MOV repair tool is one such tool that can fix MOV or MP4 video files in few simple steps. So, never get into such troubles, before selecting any option make sure it is correct.